There are two kinds of hair transplant doctor: The first is the type that takes the view that all patients are more or less the same and all that need be done is throw grafts into the balding the area with little if any strategy. This is the “fast food” type hair transplant doctor. They are the most numerous, least experience, least specialized, and have the fewest impressive results. They rely almost exclusively on the blind trust and innocent ignorance of their patients to stay in business; for if these patients only knew of the second kind of hair transplant doctor they would never visit the first. The second type is the exclusively specialized hair transplant doctor. One who can (and does) offer all hair transplant techniques and has done so for years. One like Dr. Dan McGrath of Austin, Texas. He performs FUT, FUE, and repair of old style or incomplete work on scale that is very difficult to match. Each and every patient is treated as an individual with no two being quite the same. No FUE-only doctor or part time “machine clinic” can match his level of consistency and excellence. When naturalness and density are the goal, few can compare. 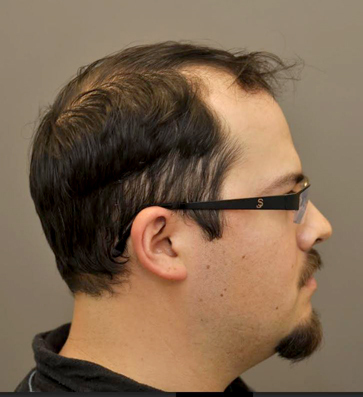 Take this young man who had already suffered extensive loss of the entire hairline and front of the scalp. Clearly no amount of styling was going to make him appear as if he still had even a modest amount of coverage. Naturally this bothered him when he looked in the mirror. Dr. Dan McGrath. Austin, TX. Why ? Because the hair loss made him look older than his years and worse: he began not to recognize himself. Such is the devastating effect of hair loss that many can see, but few truly appreciate. 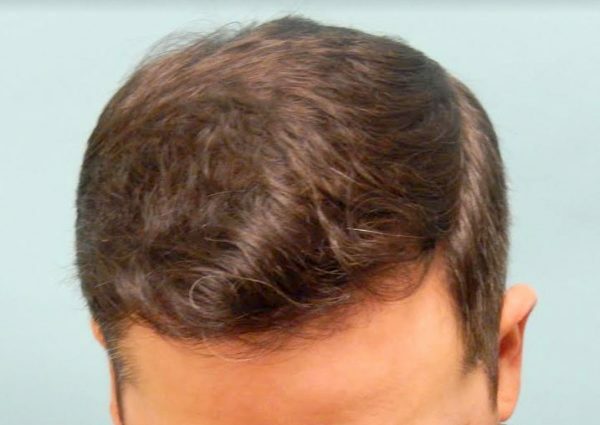 To treat this patient Dr. McGrath had to take into account age, hair type, shape of the skull, and possible future hair loss. And in doing so he came up with a plan. The first consideration was the hairline. It had to be broad and well defined so that his patient’s face could be framed. That would immediately turn back the years. The second was to give as much bulk as possible to the area of the scalp just behind the hairline. During the procedure Dr. McGrath made sure to pack the follicular units very tightly and weight them toward the front. The result is the puffy hair transplant you see in the photos. In the last picture you can see how successful the plan and the hair transplant turned out. 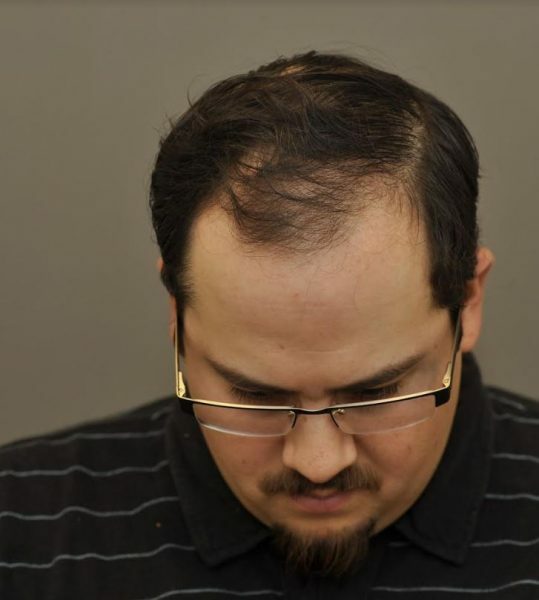 Not only does he have his hairline back along with the proper framing his face needed, but the density is lusciously thick and natural. 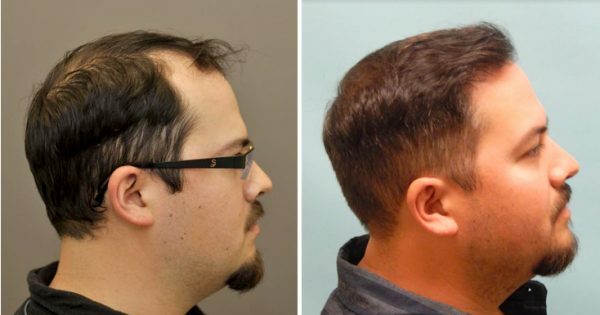 Perhaps the best part of the story is that he is likely never to lose this hair again because the hair roots originated in the back and sides of the head where hair loss is far less prevalent. Dr. McGrath did an excellent job and it is exactly what one would expect from a doctor of the second kind. 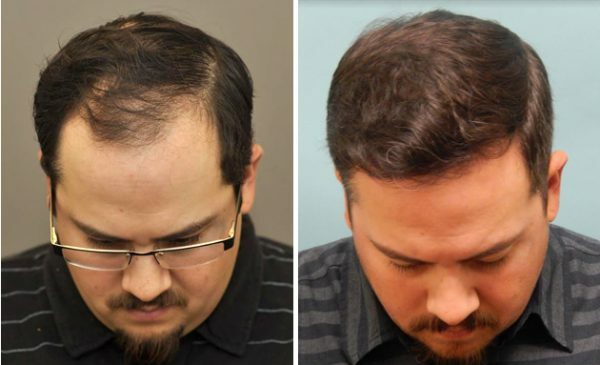 If you’ve had hair transplant work from a doctor of the first kind you owe it to yourself to contact Dr. McGrath at his Austin office to see if he can improve or finish what the other doctors started.